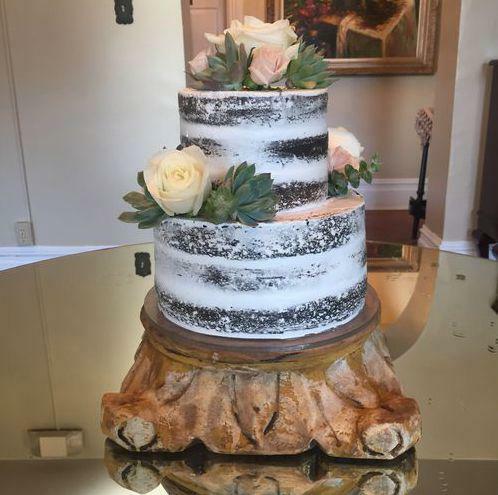 My Sweet Wedding Cakes made this naked cake even prettier by adding a touch of powdered sugar; giving it a more casual and fun appearance while still looking elegant. This is an awesome idea for a spring or summer wedding. Or really, any time! 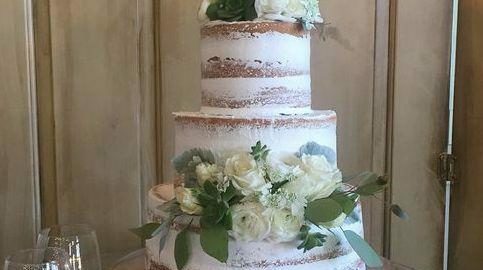 My Sweet Wedding Cakes gave this naked cake a more sophisticated look by adding a little extra frosting to the outside. However, they still kept the naked look in tact by not covering the entire cake in frosting. This cake is great if you are going for a more traditional, sophisticated look. My Sweet Wedding Cakes made this simple cake look customized by adding strawberry bunches to the front and designing the frosting to appear ruched. This cake is a great option for a spring or summer wedding as it is very bright and fun. 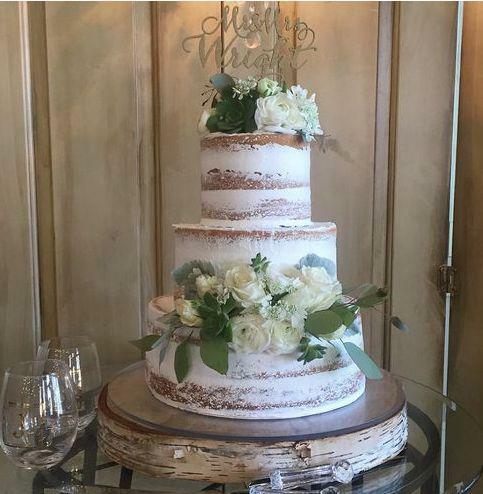 This cake My Sweet Wedding Cakes created is perfect for the chocolate lover! Choosing chocolate over vanilla is the perfect way to customize your wedding cake while still keeping the appearance of a naked cake. You could add flower, strawberries, really anything to spice this cake up. Because what doesn’t go well with chocolate? 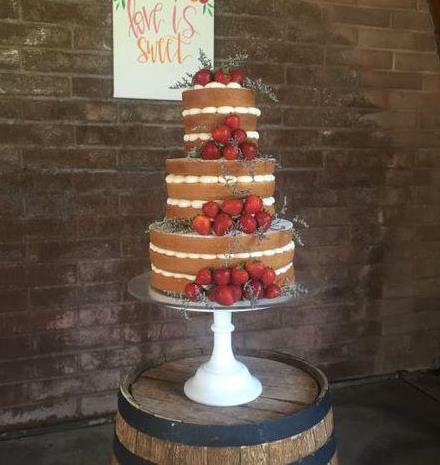 We love this wedding cake Sweetaly made. They made this cake stand out with the thick frosting between each layer and the perfectly placed cacti. Sweetaly is a great vendor to order your wedding cake from as they also cater gelato. We can’t think of a better combination than cake and gelato. Picking a wedding cake can be hard work and involve a lot of thought. However, it also involves taste testing- not the worst task in the world! 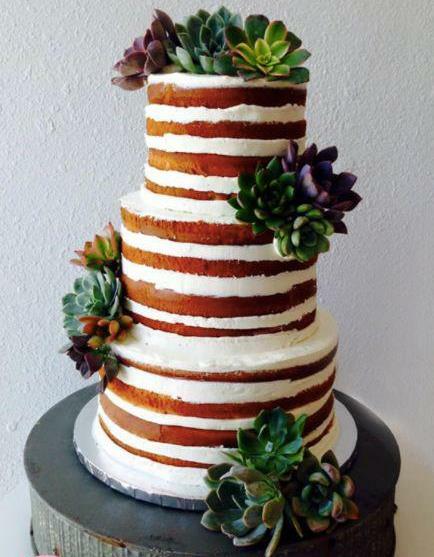 What kind of wedding cake are you considering? 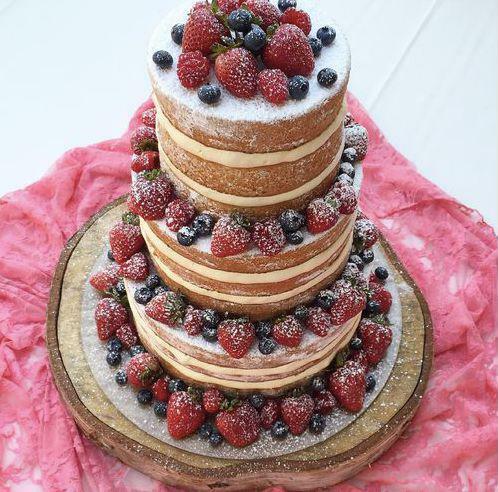 Let us know what you think of the naked cake trend in the comments below.